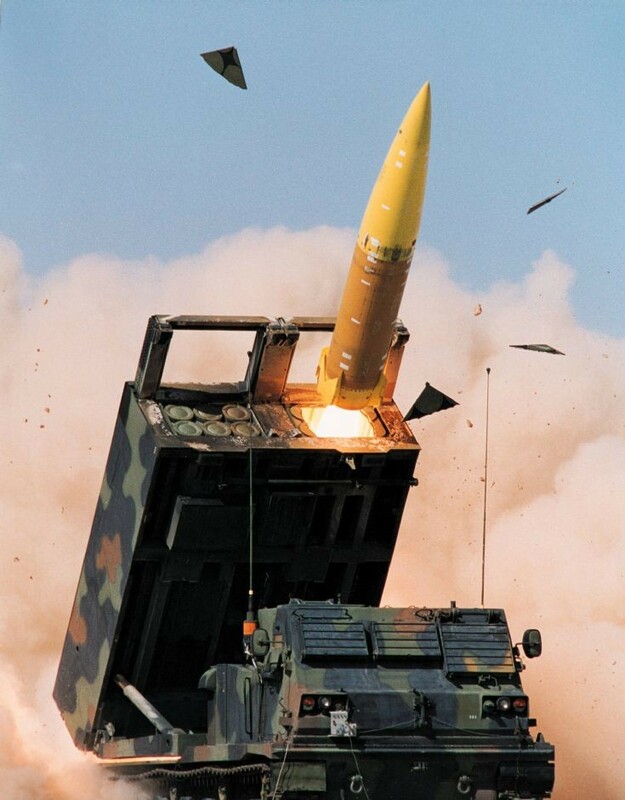 The Army Tactical Missile System (ATACMS) is fired from an M270 MLRS vehicle. Due to it's size the vehicle only carries two missiles. The warhead explodes over the target dispensing ant-personnel or ant-tank submunitions.